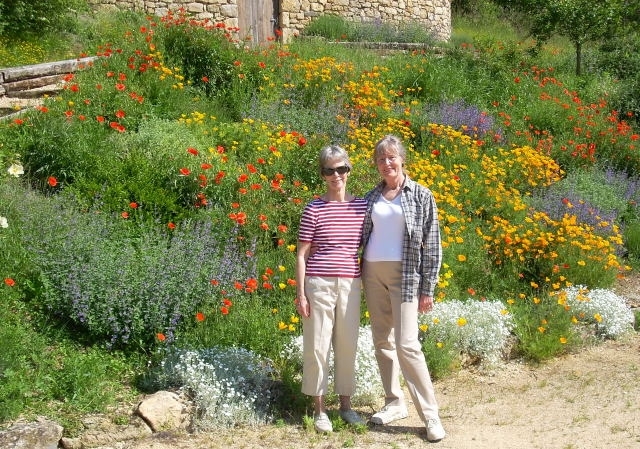 Daphne and Dianne stand midst a garden of spring flowers in France's Dordogne River Valley in May, 2008. Daphne is part-owner of this lovely B&B in southwest France ("Pont de Cause" at Castlenaud-St. Chapelle). Dianne and her husband, Jim, joined Daphne for a week this past May. 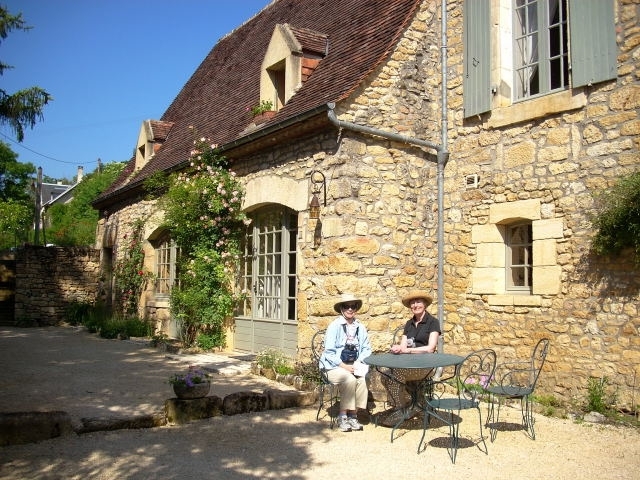 Daphne then met Joyce Burley Renaker in Paris and returned with her for a personalized tour of the Dordogne area.